This article explains the theory of the VMOST Analysis, developed by Verne Harnish in a practical way. After reading it, you understand the core of this strategy theory. 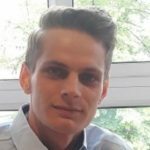 What is a VMOST Analysis? 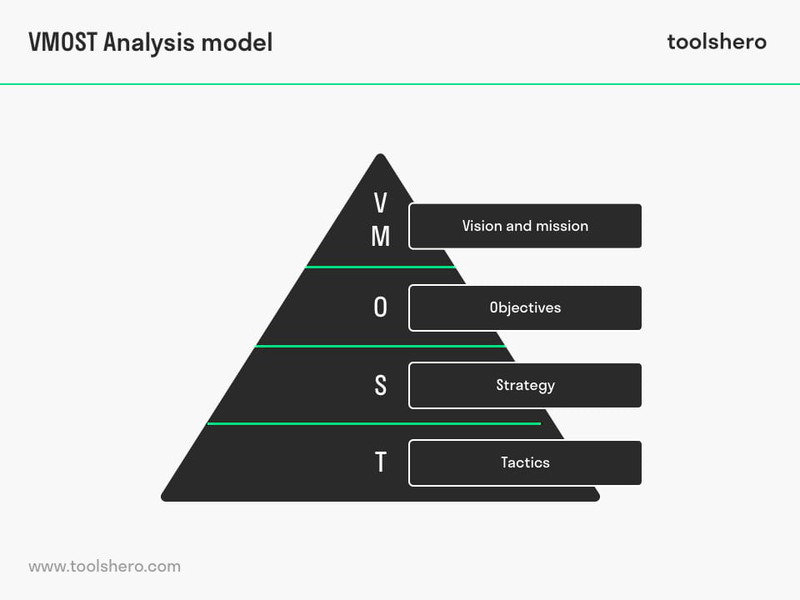 The VMOST Analysis, also known as the MOST Analysis, is a framework and evaluation technique for strategic planning in an organisation. The analysis ensures stakeholders in an organisation gain reliable insight into the desired changes in their organisation. After carefully performing this analysis, it will present various options on how to bring about change while keeping sight of the strategic and long term vision of the organisation. The framework connects both the vision and tactics to pursue this vision. In addition to the vision (V) and mission (M) elements, the components of the acronym VMOST are: objectives, strategies and tactics. For example, the analysis may increase the effectiveness of investments in a company by stimulating how value is added to help a company move forward in the right direction. The main benefit of this structured method is that it enables team members to set goals at every level of the organisation. As the analysis works top down, it ensures that the focus remains on the most important goals. The VMOST Analysis was devised by Rakesh Sondhi, Professor of Global Strategy at Hult International Business School, and published in his book Total Strategy (1999). The set of ideas that describes what the future should look like is called a vision. As it concerns the future, vision statements often use terms like ‘will’ or ‘shall’ and will often contain visual descriptions such as a location where the plans should be implemented. In addition, the vision also often contains an idea on how and which products should be offered. A good vision has a long-term character, though due to the high level of dynamics in organisational life, these might need to be changed along the way. A Big Hairy Audacious Goal (BGAG) is ambitious and can therefore be incorporated in the vision. Once the vision has been created, missions are concise actions of changes to help the company accomplish its vision. Missions are action-oriented and contain specific, feasible plans, often at a high level. Depending on the vision, one or more missions might be needed to help the company get to where it wants to be, and these may take weeks, months and sometimes even years. Similar to a mission in military context, missions often require multiple people to achieve the goal in question. The same applies in the corporate world. Therefore, it is often a complicated task, in which planning and resource management are combined at the very least, to form missions and incorporate them in the vision. After the missions have been established, goals are linked to them, in order to help the user measure their success rate. Goals are checkpoints that let the user know whether an individual mission has been completed or not. Measuring success is often done with Key Performance Indicators (KPIs). The SMART acronym is a convenient tool to formulate realistic goals. If a goal has been defined in a SMART way, this means that it is specific, measurable, achievable, relevant and time bound. To achieve one’s goals, a strategy must be linked to a least one mission goal. A consequence of this is that a strategy often results in being a complicated and comprehensive idea about how a company should be managed. Often a strategy supersedes a theme, for example the focus on new innovations or the improvement of user-friendliness of devices or apps. Tactics are actions that need to be completed in order to fulfil the strategy. Every strategy contains a number of tactics that can be carried out by various business units. The easiest way to think about tactics is the use of the ‘Verb-Noun’ format. For example: design CRM, expand website or recruit employees. Tactics encompass multiple units and therefore are often part of multiple groups such as product, human resources, processes, technology or marketing. What makes VMOST analysis effective? According to Sondhi, the VMOST Analysis method is most suitable to guarantee the consistency of the strategy of the various components. Aligning the strategy with the various aforementioned elements enables the user to determine whether the strategy is logical and effective and to reach the desired goals. In Sondhi’s original concept, the VMOST Analysis is performed after determining the organisational environment, using the PESTEL model and the techniques of Porter’s Diamond and Five Forces model. In addition to these tools, the SWOT Analysis can also be used to determine the organisation’s options. Subsequently, the result of these techniques can be used to determine whether the current strategy fits the present situation of the organisation. Business analysts recognise the particularly high level of applicability of the VMOST Analysis in projects. The VMOST structure can be applied to a programme or project in order to help define the project’s mission, goals and strategy and tactics required to achieve these goals. The primary goal of all these applications is to align the various components or elements in a company. A VMOST Analysis is a highly structured, yet simple and effective method to set goals for team members at every level of the organisation. It ensures a high level of conformity among team members, which in turn will benefit company results. Usually the analysis is carried out to examine an organisation or unit’s current strategy, though the VMOST structure can also be used to define current and future strategies, projects, programs and even individualistic goals. What do you think? Does the VMOST Analysis explanation sound familiar? Do you recognise the different elements in your own work environment or do you have any other ideas? At the same time, are there any suggestions you would like to share in terms of balancing the various business units? Sondhi, R. (1999). Total Strategy. Airworthy. Kaplan, R. S., & Norton, D. P. (2001). The strategy-focused organization. Strategy and Leadership, 29(3), 41-42. This seems just to be a variation of Hoshin Kanri really, which was in place before in big Japanese Lean companies. Thank you for your comment, Al.